Action-packed games build reading and vocabulary skills! Players match picture to picture or picture to Fun Fact cards to win. 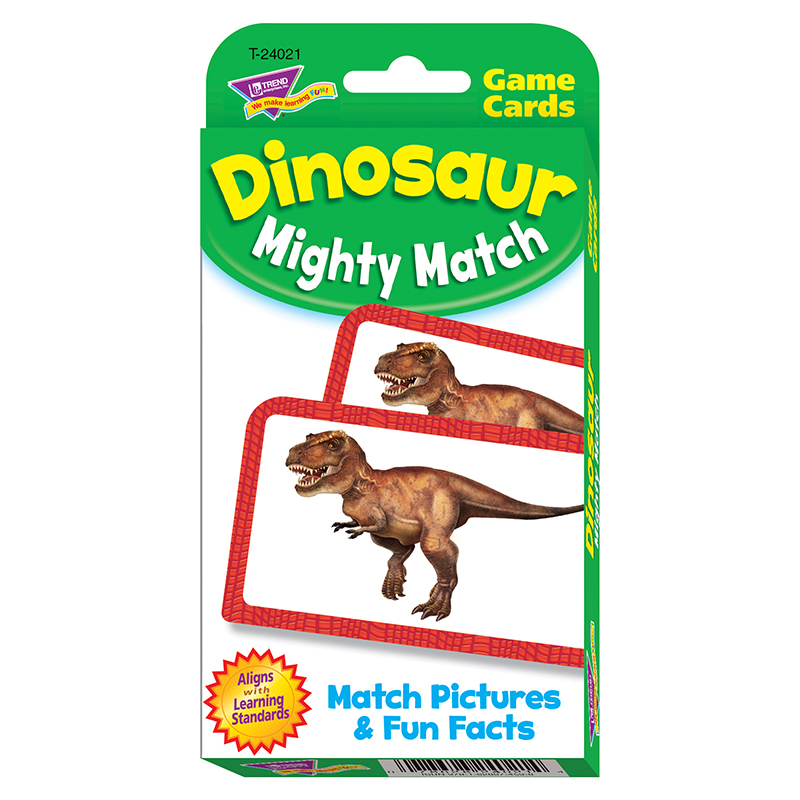 Realistic dinosaur images, interesting facts, and extra challenges present tons of fun for everyone. Ideal for school, home, and on the go. Includes 54 Game Cards and 2 Activity Cards. Individual and Group Play. 56 cards, 3 1/8" x 5 1/4".